A work of this kind is long overdue. It has been almost 40 years since there has been such a thorough, in-depth treatment on the book of Genesis from a biblical (‘young-earth’) creationist perspective. 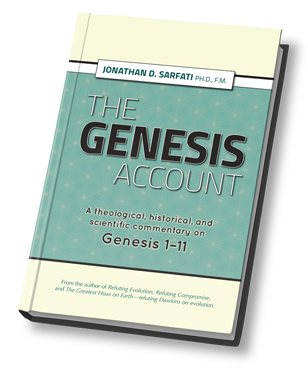 These Genesis 1–11 chapters are some of the most well-known in all of Scripture, and they are often the most attacked due to current prevailing ‘scientific’ views about our history. Such views cause many well-meaning modern theologians to reinterpret these foundational passages in ways that commit violence on the text, and are contrary to the way that Jesus and the New Testament writers clearly understood them—as describing real historical events. And they are foundational passages because they speak, among other things, about the Creator God, His plan for humanity, the entrance of sin and death into a once-perfect world, and judgment via a global Flood. The latter is extremely significant because the historical and scientific evidence resulting from this worldwide catastrophe has been wrongly interpreted as evidence for the prevailing paradigm of evolution and millions of years. And about 100 years after the Flood, there was the Babel dispersion, which is foundational for explaining the origin of different language families and people groups. Examining those early chapters with an attitude of submission to what they so obviously teach should not be unusual, but in today’s morass of theological confusion, it is nothing short of revolutionary. The consistent thread throughout these historical chapters, one which is so brilliantly highlighted in this book, is the way it all points unfailingly to the coming Messiah, God’s Lamb. Sarfati’s previous books have been regarded as creationist classics by many. But The Genesis Account is a masterpiece that is the culmination of his many years at the forefront of the creation vs evolution debate. In one sense, with his incredible mastery of science, theology and logic, only Sarfati could write this. And every person who is genuinely interested in what the Bible really says and teaches should take note.